Bacon makes anything great. I have used it on, in and around so many things. I have dipped filets in it, encrusted filets in it, wrapped filets, chicken, breakfast sausage, salmon filets in bacon, and I have also done a bacon bit milkshake. Talk about taking it to another level. Seriously bacon is the BBQ’ers version of penicillin!! Anytime I used bacon I first think about how to get the best tasting results. Two things I love about bacon are the flavor and the crunch!! 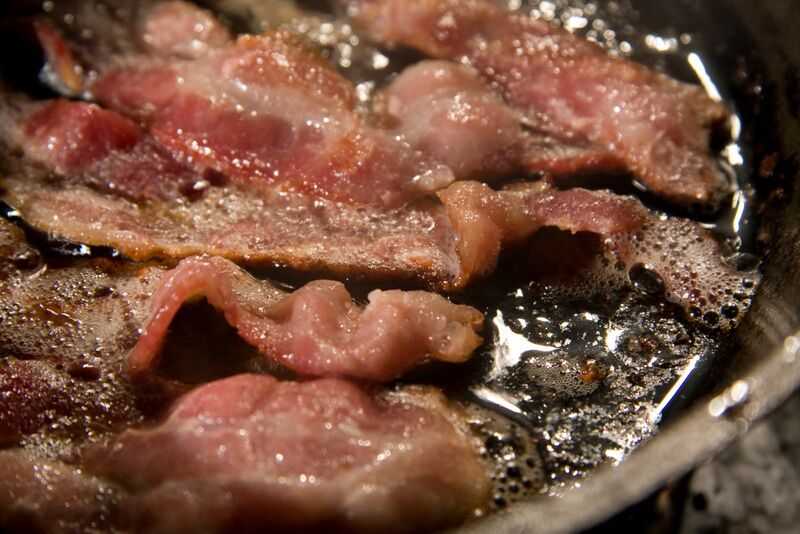 In my world there is nothing worse then soggy bacon. 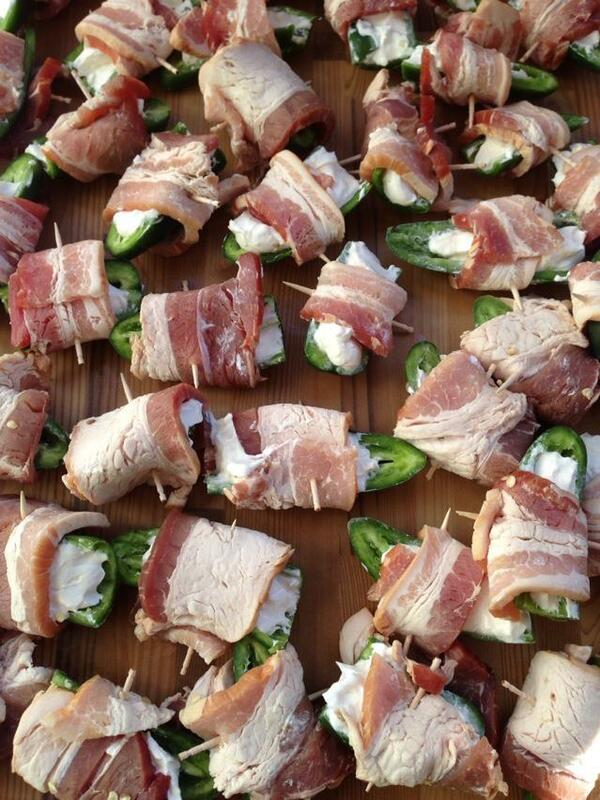 I have three ideas for wrapping food in bacon. 1. You can wrap your food in raw bacon and then cook both together. If the main food is done first you can turn the food on its side so that the bacon is now touching the grate so that you can crisp it up. But make sure and this is important, to turn down that heat to about 375-400. If it's higher you risk the bacon burning and giving your food a bitter aftertaste. 2. But if you are like me and like crispy bacon then you might try to precook it first. 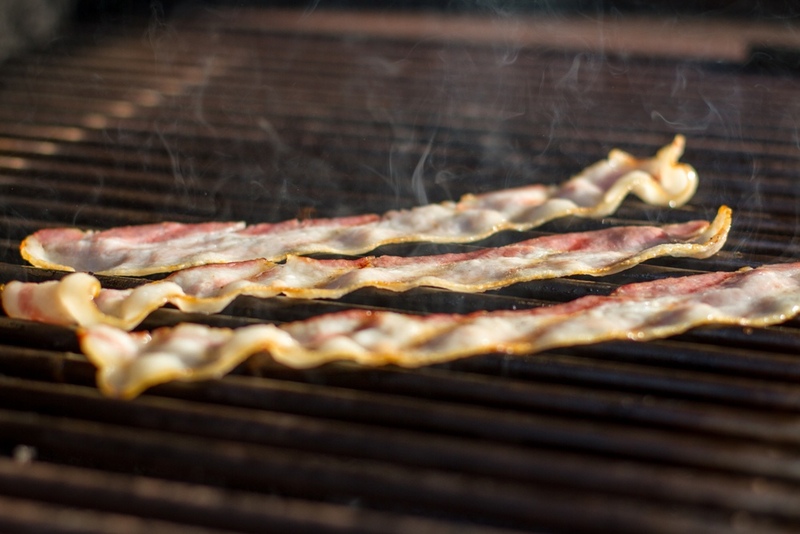 I will grill the bacon for 4-5 minutes on low direct heat. I then wrap the food in the bacon and grill according to the recipe. 3. Another great way to get that bacon flavor and crunch is to sauté the bacon first on your side burner. I then let the bacon and grease cool. From there I will dip my steaks in it, season and then grill. For an extra boost I then chop the bacon into bits and dust them over my grilled food. Any of the techniques will bring some mighty tremendous results.